We are so excited to be open for business in Sycamore. Since we opened in mid-December 2016, we decided to delay our official Open House until Spring. With Spring upon us and hints of beautiful weather, we are planning a celebration on April 2 from 1:00-4:00. Stop by, and sign up for some fun prizes. Tour the hospital, and meet our friendly staff and their families. 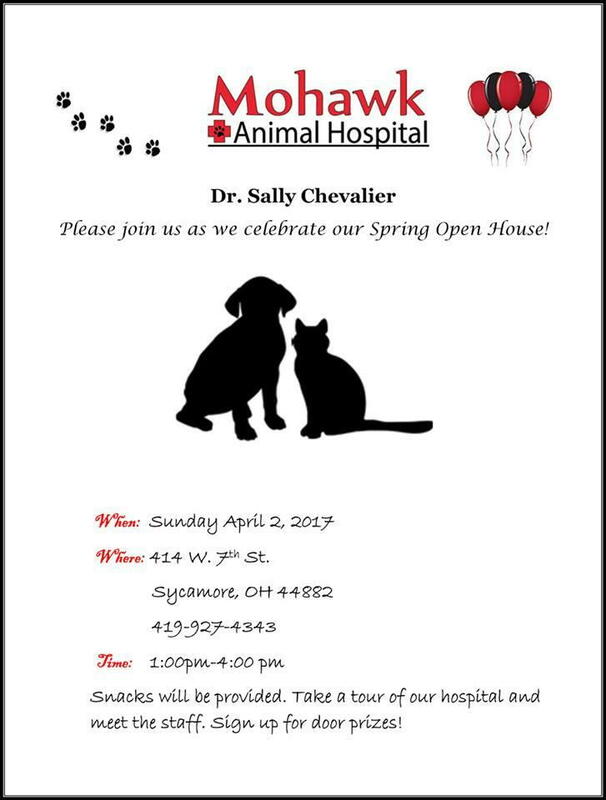 Dr. Sally Chevalier will be happy to answer any questions that you have. We would love to get re-acquainted with old friends and meet some new ones too. We are located at 414 W. 7th Street in Sycamore, behind the pool and soccer/baseball fields near the Sycamore Community Center.